Go-Ped has again reached a new level in quality by introducing the Go-Ped ESR750H Hoverboard electric scooter. 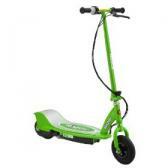 This scooter combines two high quality features such as the award winning design of the ESR750EX and the company’s own Cantilevered Independent Dynamic Linkless Indespension (CIDLI) suspension system. Thus, allowing users to ride this product on a majority of terrains with comfort and ease. We found Amazon.com is offering a 23% discount on Go-Ped Hoverboard electric scooter. Click here to check it out. 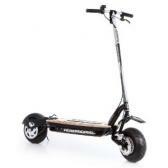 The Go-Ped electric scooter has 2.7 inches of suspension travel in the front and 3.5 inches suspension travel in the rear. Both have adjustable settings which help in choosing the perfect level for riders. The rear and front fenders are capable of protecting the hoverboard scooter and the rider during bad weather. The Go-Ped ESR750H electric scooter also features the Mad Dog front disc brake, along with an anti-dive that securely brings this product to a stop. Save $382 + Free Shipping Now! This Go-Ped Hoverboard electric scooter is powered by an ESR engine. This ESR engine has a robust and a well-proved DC brush-type motor which has an “Electro Head” heat sink. 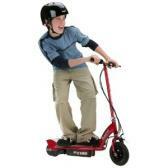 The motor featured in this product is capable of reaching speeds up to 20 miles per hour. The high output from this GoPed electric scooter enables the rider to ride this product on steep slopes. The Go-Ped ESR750H Hoverboard electric scooter provides you with two modes of performance and an electric controller. One of the modes is the Econo mode that allows the user to travel long distances and the other mode is the Turbo mode that gives speeds up to 20 miles per hour. 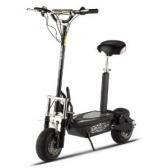 The electric scooter can be easily recharged by plugging it into any household power outlet. The go-ped hoverboard scooter also has a computerized variable speed controller. This controller is completely programmable which means that you can customize your Electric Scooter’s performance in any way you want. Other features that the ESR750H has is a Flux-Capacitor throttle/energy monitor that displays the charge status of the electric scooter, a durable chromyl frame, 10-inch tires along with optional accessories that can be bought such as a detachable seat, carrying bag, luggage rack and a rear brake. The Go-Ped Hoverboard ESR750H itself weighs 60 pounds, measures 48 x 41 x 18 and offers a carrying capacity of 250 pounds and thus, making it a convenient electric scooter for all. As I conducted my research on the Go-Ped ESR750H Hoverboard electric scooter I found a lot of customer reviews on various websites. Reviewers were happy about the fact that this Electric Scooter provides them with sufficient speed and it’s comfortable to ride as well. 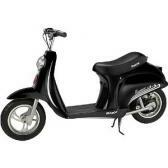 The durable structure of the Electric Scooter has also been praised in the customer reviews. They also like that the speeds this product gives to its users are adequate for adults and young users. The additional accessories that can be bought for this product have also been praised. The average rating of this product on Amazon.com is four stars. Click here to read more reviews on Amazon. I did come across a negative customer review but compared to the numerous positive reviews this product received, they seem negligible and this gives the indication that people are satisfied with the product. Having gone though all of the reviews I would recommend the Go-Ped ESR750H Hoverboard electric scooter to anyone who wants to buy an efficient scooter at an affordable price. Click here to SAVE $382 for a limited time only! How would you rate the "Go-Ped ESR750H Hoverboard Electric Scooter"? 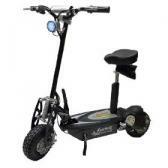 (c) Copyrighted 2019 Electric Scooter Reviews, All Rights Reserved.